Ready to take your life out on the road but do not want to deal with sleeping in hotels? Looking for lightweight travel trailers for sale that you can easily haul with a small truck or SUV? If so then you need to come to your local Airstream dealership in Wisconsin and see one of the many new and used Airstream trailers for sale. Here at Ewald’s Airstream of Wisconsin, we have a vast inventory of Airstream campers for sale with everything from an Airstream Basecamp for sale, to Airstream RVs for sales like the Airstream Atlas and everything in between. Here at Ewald Airstream, we have a team of people who are happy to answer any and all questions you may have about one of the many new and used Airstream for sale. That includes questions about one of the many used Airstream Basecamp for sale in Franklin, WI. When you need a go anywhere do anything camping buddy, this Airstream Bambi is what you need. It’s lightweight body, and single axle design makes it a breeze even through the most rugged of terrain. This Airstream for sale comes with many features both inside and out that you will not want to miss. 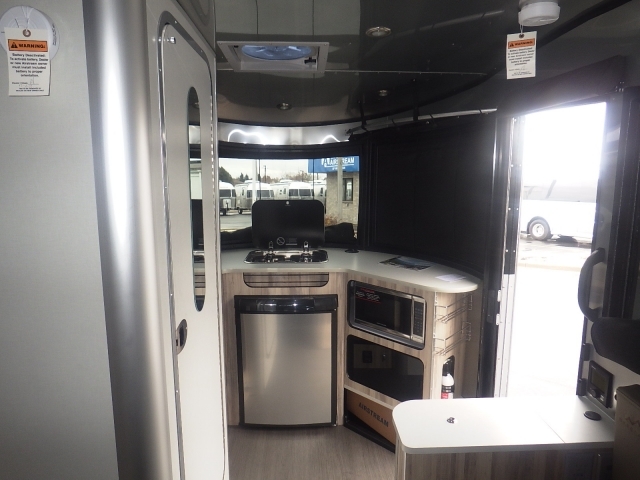 Do not let the size of this Airstream for sale fool you with ample of storage features you will be able to take all of the comforts of home with you. This Airstream Basecamp for sale comes with nature-inspired interior decor and panoramic windows your Airstream will bring the outside in. This Airstream trailer is the perfect size for a couple or single person to take on a cross-country adventure. With an exterior length of 16’3” and a net carrying capacity of 913 pounds, this Airstream travel trailer can fit in those tiny spaces that other bigger more bulky trailers would not. The Basecamp sleeps up to 2 people comfortably on the convertible sofa that can be folded into a full or twin size bed. This Airstream camper for sale also comes with a small kitchen that is stocked with high-end appliances. With space savers including a sink and stove top covers as well as a folding side table, you will have plenty of room to prepare and serve all of your favorite meals. This Airstream also comes with a three piece bathroom with a 22-gallon fresh-water tank, and a 29-gallon black water tank. Storage can be found in every corner of this used Airstream including bungee storage on the ceiling and doors, that will let your gear dry out and keep it up and out of the way. Storage under the bench seating is perfect for all the things you do not need to get to often. The Airstream Basecamp was designed for everyone to enjoy, small enough not to need a large truck but with enough space to feel at home. Plus with its compact size this Airstream trailer is a dream to haul, and with anti-sway technology along with its short body, everyone from a first-time trailer owner and tower, to a veteran trailer owner can drive it. 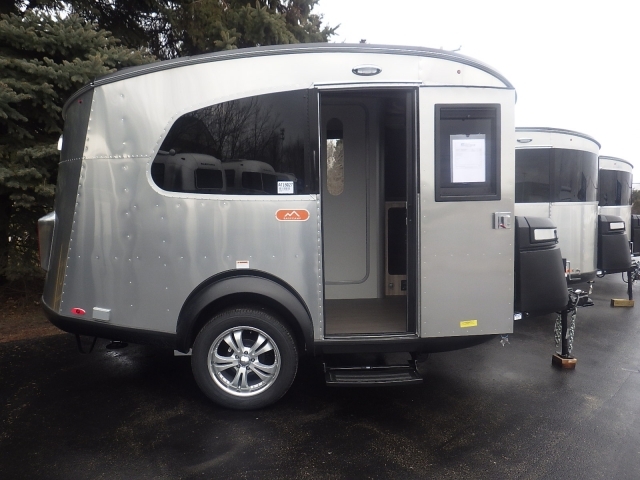 When you are looking for a large selection of used Airstream for sale, come to your local Airstream dealer Ewald’s Airstream of Wisconsin at 6319 S 108th ST in Franklin, WI 53132.